As of Map Pilot version 2.0.0 it is possible to open KML files that are sent to the mobile device. KML files are a great way to define flight area boundaries in Google Earth where the basemap coverage is often way more up to date than it is with Map Pilot's standard Apple Maps basemap. NOTE: Do the following steps with the Map Pilot application already open.  Enjoy fully featured KML files to use as your guide in Map Pilot. Hi - I followed these instructions but I am not able to see the kml file overlaid in the mission view. I do see it however in the log file manager and can load it from there... just that polygon doesn't get overlaid onto the map. I also see what is probably an expected message "To keep this KML from showing, delete the file....." I'm running the latest version of Map Pilot on an iPad mini 4. I am trying to follow these instructions but I am not getting the same options you are showing. I am trying to open the attachment using the Outlook 365 app on an iPad. Dave: Are you sending the KML to a computer to read it or sending one to the app so you can use it as a guide for layout? These steps describe receiving a KML in the iOS Mail app and opening it in Map Pilot. Not all KML features are supported. Try to stick to lines, polygons and point markers. Zane - I tried using on my iPad using my gmail account and got similar looking options. But I don't get a "Copy to Map Pilot" option. I get "Copy to Google Earth" and several other programs but Map Pilot is not there. Do you know if there is a setting I need to change? I should clarify that with gmail I got similar options to your example. You might have to scroll to the right some. That bar of apps that can open that type of data doesn't do a great job of showing that there are more options. Make sure you are on the latest version which is 2.1.6. I did scroll all way to the right past all the icons to where it says "More"
Interesting... It is a KML, not a KMZ correct? Only KML is supported.  You can email the file to mapping@dronemadeeasy.com if you would like us to test it for you. Ahhh - tripped up by one little letter. It is a KMZ - didn't think about it. It was an export from GIS mapping software and that may have been the only format. I will see if it exports as KML or if it can be converted. Zane - thank you. The KML works! Now on to researching and trying the Terrain Awareness function! I have done the steps. I can open Kml in MapPilot. But can not use this kml that define flight area boundaries with this KML. Sometimes I will need use Mappilot without internet signal. I can not define boundaries. I have the same issue as a lot of other users it seems. I am provided with a kml file (done in Google Earth) of a simple polygon area that needs to be flown. I cannot get the application to show the kml boundary for me to put in a flight path. The manual process is having to look in google earth where the area is, zoom into the area on the iOs app and then try recreate the polygon. This is fine for 1 or 2 sites but gets laborious when there are 50 to do and each time, the application jumps back to the present GPS position and I have to go through the whole procedure each time to save offline maps and planned flights - surely there is an easier way. A straight kml from Google Earth, sent via email or cable would be very useful. Steve: That is what it should be doing. There is sometimes some weirdness in opening the files based on what state the app is in in the background when opening it from email but if Map Pilot is fully closed when you click on the file in the email it should be fine. The KML that you open via email should be shown in the Log File Manager list of files that can be opened. If you tap on it in that list it should come right up in the normal Map Pilot layout screen. Hi, I´ve done a few polygons in google earth and have successfully imported them into mme (even though half of them took a couple of attempts to work). But - isn´t it possible to see them all at once? As it is now, only the latest imported one show up as an outlined area in MME. the kml import is buggy. I must import twice the kml file to open to MapPilot and after clearing up the files in the Log File Manager it shows up again in the next app start. Please look at it. I have an ag platform that generates autonomous flight maps (with camera shooting at predetermined POI's) for NDVI orthophotography. 5. determine alternate rendezvous points (if unit runs out of power and cant return to base). 2. Yes, but no. You can import it to use as a guideline but Map Pilot will make its own flight. You can try to match it if you want. 4. This is displayed in Map Pilot as an estimation of how many batteries a mission will take. 5. This is automatically handled and can be manually overridden. tks, Zane. I'll give my client the bad news. Guess it's time for him to quit his narcodependency on iPhones and move to the light - come to Android, HuaHuaHua. Zane, I have no problem until the last step. I see the KML file in the File Manager. When I click on it the map pilot screen goes to the exact location of the KML but no KML outline shows. The KML file must be all in the top level with simple features. It cannot be heavily nested or have complicated embedded elements in it. You can email it to us to check if you want. I’m attempting to upload a KML file from drontebase and it is not working the way the instructions on the MME Website. I’ve sent it to myself via e-mail, copied the code to the MME app and opened the file in the app. It takes me to the location i need to map, but it does not outline the area needed to map. Please let me know what I can do to fix this since I just purchased the app for the jobs i have coming up. All features in the KML must be simple Google Earth line, polygon or marker types to be displayed. Also, they need to be top level and cannot be nested down in the structure. You can email us the file if you would like us to check it for you. Where can I e-mail the file to see if it's incorrect? KML import is bugged. You must do this repeatedly by turning the tablet on and off for the procedure to take place. The equipment is the iPad 6 A10 with Map Pilot Business. I have 18 flight plans to import and it is difficult to work. I have tried to import simple polyline kml from my email. i can see that kml file in map pilot but when I tried to load the same file tag pilot it didn't work at all. I'm having some trouble with this as well. I've imported many KMLs over the last couple years and now it doesn't want to open it. Anyone else having trouble? My iPad Mini4 was replaced by Apple, and now after reloading the Map Pilot app I can not see the KML on the screen. After importing, I get the notification dialog "Active KML To keep this KML from showing, delete the file "active.kml" in the File Manager." I have been using this KML for almost two years, but I downloaded a new copy as well with the same results. Wow!! I sure feel like an eejit for not knowing about this feature for 2 years. Works perfectly for me. (After I read the post saying "KML, not KMZ.") I am using a KML of a line that encloses today's target area. Keep it simple.